overall dimensions: 30 x 26 x 37 in. 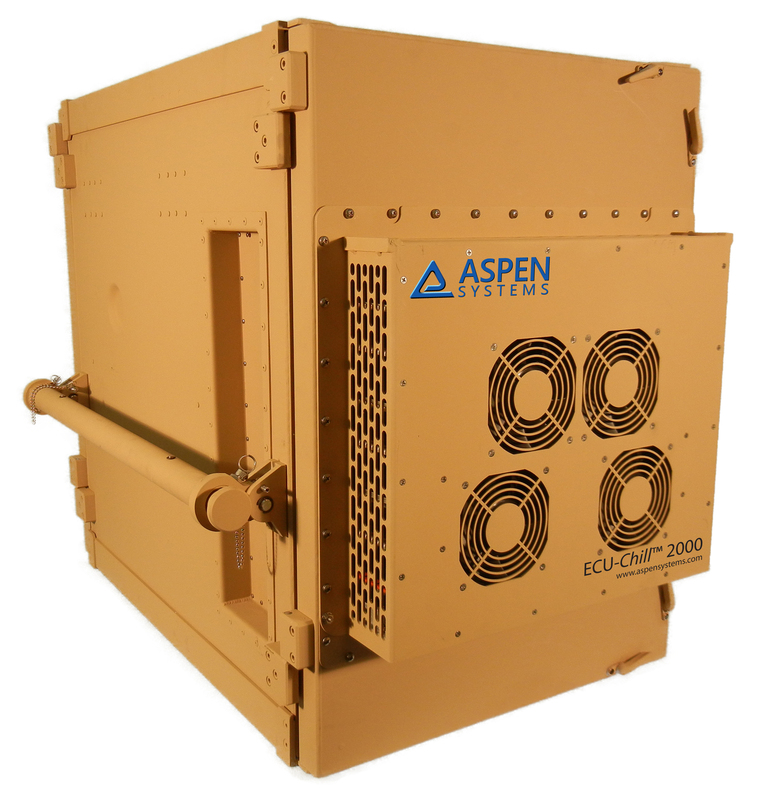 The ECU-Chill 2000 is a rack mounted case with an integrated split refrigeration system. 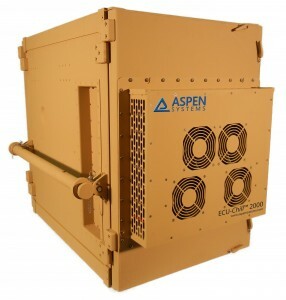 The evaporator is mounted to the top panel of the case and the condenser and compressor are mounted to the enclosure door. The two halves of the system are connected with refrigerant lines to facilitate opening and closing the door. The integrated 12U rack is shock mounted to the case.